BITSAT CutOff score 2017 is given on this page along with the previous year Cut Off lists, these cut-offs are released by Birla Institute of Technology & Science. BITS invites admission to the first year of degree engineering programmes through an entrance exam known as BITSAT. It is a computer-based online test and is the gateway for admission to engineering programmes offered by BITS campuses in Pilani, Goa, and Hyderabad. This page gives the complete information on BITSAT Cut Off for the different BITS campuses. BITSAT is one the most competitive entrance exams in the country for giving admissions to various Integrated First Degree Programmes of Engineering in the University. 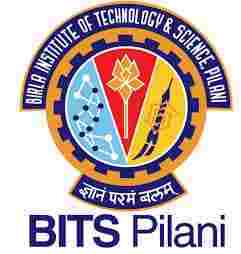 Birla Institute of Technology and Science (BITS) Pilani University has released the BITSAT cut off for the year 2017 recently. The cut-off scores for the B.E (Hons) and B.Pharm are given in the table below. For any queries related to BITSAT Cutoffs 2017, You can write to us in the comments section below.